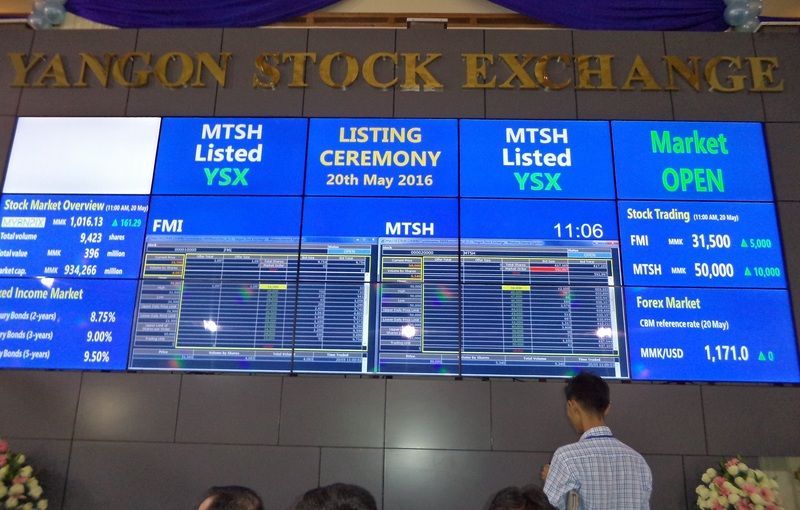 On 20th May 2016, Yangon Stock Exchange (YSX) held a ceremony of the new listing for the Myanmar Thilawa SEZ Holdings Public Ltd. (MTSH) at the YSX office building. 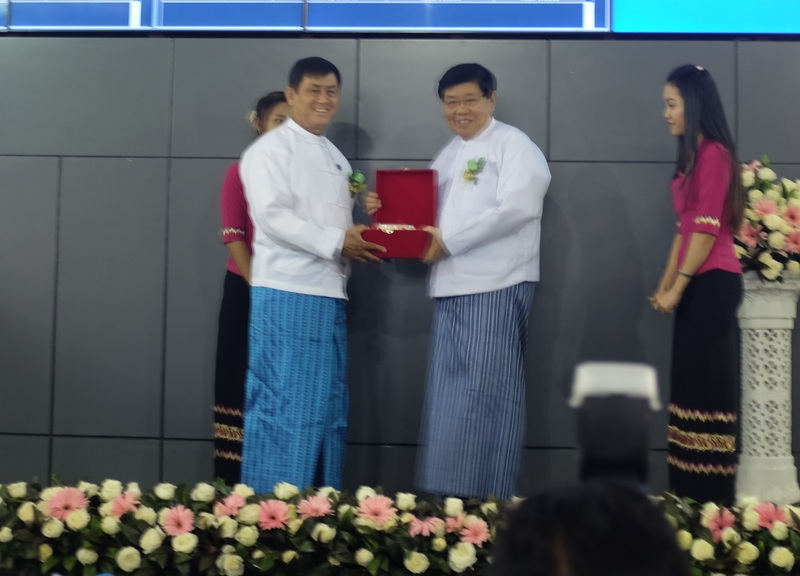 In the ceremony, U Maung Maung Win, the Chairman of SECM, delivered opening speech with wishing MTSH’s future success and emphasizing sustainable stock market development and building trust in general public. 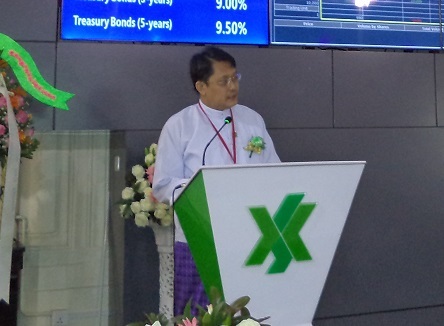 U Win Aung, the Chairman of the MTSH, gave a message of thankfulness to all stakeholders involving in Thilawa project and listing on YSX and showed bright prospects of the company with explanation of the project history . 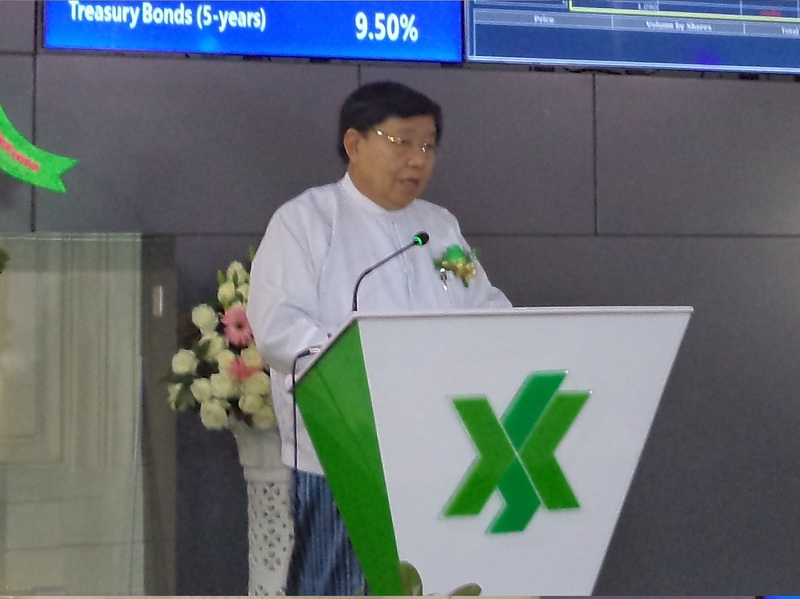 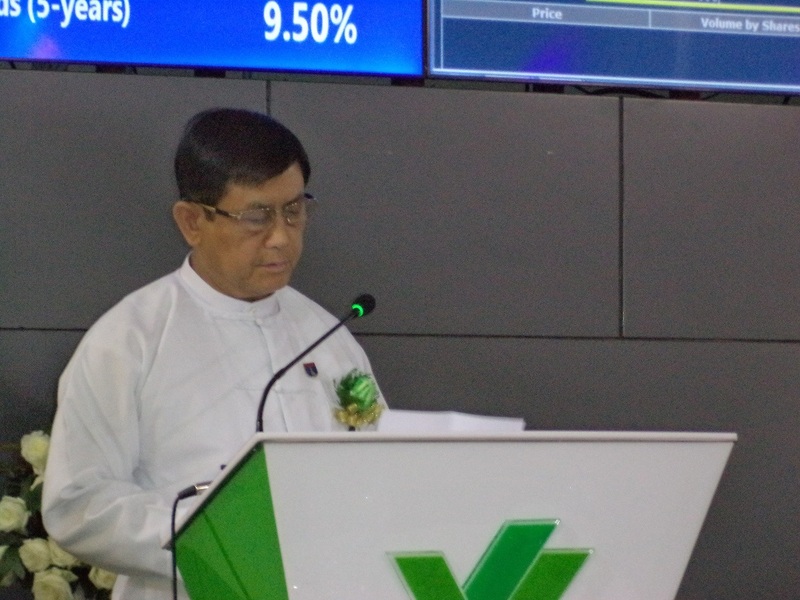 U Yin Zaw Myo, the Managing Director of YSX, expressed his hearty thanks to all related parties for the development of Myanmar’s stock market and made an announcement of publishing YSX’s new stock index, MYANPIX. 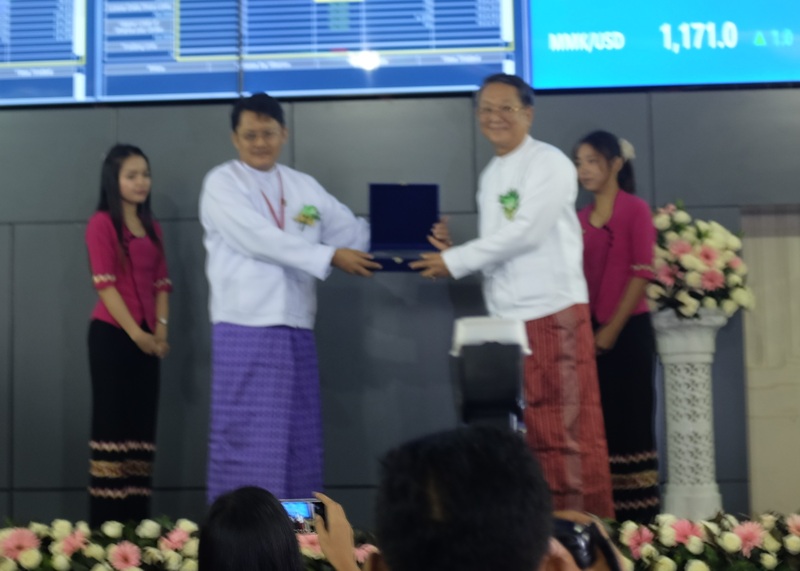 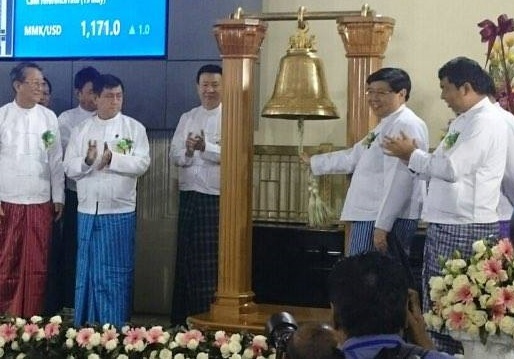 After exchanging the gifts, U Win Aung, U Thein Han, Managing Director of MTSH, and U Yin Zaw Myo celebrated the first matching of MTSH’s stock trade at 11:00 am with ringing YSX’s bell named “Aung Ze Ya Tu”, meaning of “success”. 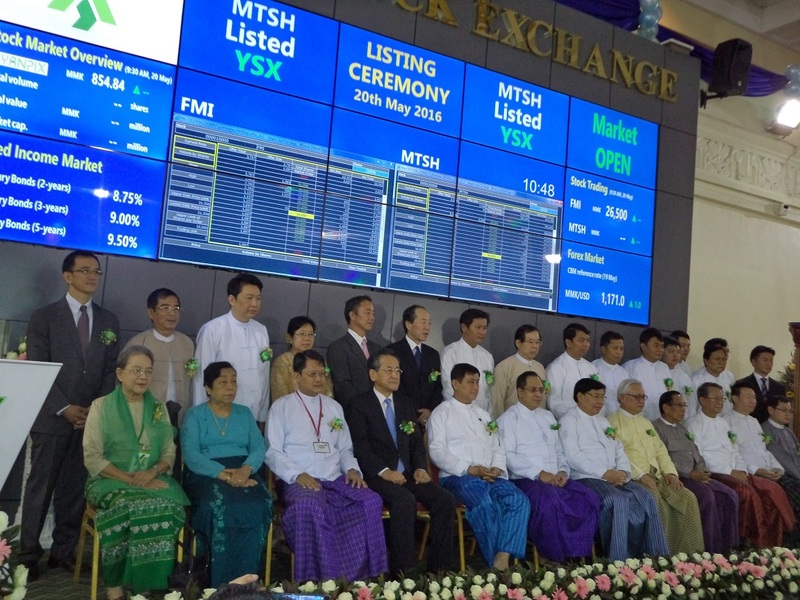 MTSH’s closing price was MMK 50,000 and total trading volume was 10,157 shares on the first listing date.